When Vladimir Ashkenazy took creative control of the SSO in 2009, he set them on a Herculean task to perform and record all of Mahler’s symphonies. It was a risky procedure taken on in the hope of raising audience numbers and reversing negative cash flows. The ploy has proved to be successful on both scores. Additionally, by demonstrating his confidence in the orchestra’s ability to pull off such a scheme, Ashkenazy has raised international perceptions of the orchestra as well as the ensemble’s self-confidence. The recording of this last symphony that Mahler was to complete demonstrates the ability of the SSO to meet the challenge that Ashkenazy has set. 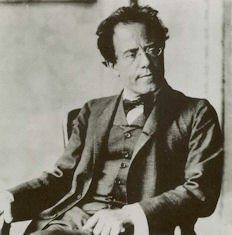 The last few years of Mahler’s life saw him obsessed with the inevitability of death, brought on by the death of his four year old daughter, the death of his wife’s mother at the daughter’s funeral, Mahler losing his post conducting with the Vienna Court Opera, and the diagnosis of an incurable heart disease. He was under strict instructions from his doctor to cut down all strenuous activities, including conducting and going on long walks — an important part of his compositional process. Taking up a post with the New York Philharmonic and Metropolitan Opera in New York, he never slowed down, defiantly thumbing his nose at death. Nevertheless, he knew his time was limited. The three works Das Liede von der Erde, Symphony no. 9, and the unfinished Symphony no.10 each were written in the shadow of his imminent demise — each sounds like a farewell to life. Yet, each is fundamentally celebratory. The Symphony no. 9 is the voice of a man at the crossroads. Lamenting for a life and memories about to be lost, he is fully aware of his place at the turning point of developments in music, bridging between nineteenth century romanticism and twentieth century modernism. The structures of each movement demonstrate a desire to push past accepted models and to play with form. The many references to older works could be said to presage post-modernist collages, such as Luciano Berio’s piece Sinfonia (1969) which is itself fundamentally constructed from quotations of older pieces, including those of Mahler. Running for nearly ninety minutes, the Symphony is of four movements unusually commencing and ending with slow movements. The symphony begins and ends in silence. Some commentators have likened this to a descent into the arms of death. Very loosely, the first movement could be said to be in sonata form, but Mahler is so steeped in historical models that he is free to resynthesise his forms to suit the overriding structural needs of the piece. Surprising side steps in the harmonic progressions allow Mahler to dramatically change at will the immanent emotion of the music, perhaps matching his own moods swinging from anger, defiance, resignation and peace in the face of death. The two central movements are deliberately awkward and self-mocking, like clumsy dances. The final movement is a slowly evolving/devolving, deliberate tidal wave of emotion that washes away to melancholy emptiness. Ashkenazy’s interpretation of the piece is acutely tuned to the repertoire of emotions that the piece displays, with the tempi of the slow movements under firm control. The orchestra produces a gorgeous cohesive tone, although the recording seems to place a slight emphasis on the sound of the violins. The challenging dynamic range of the recording demands a quiet listening space, but rewards the listener with an inexorable pull into gaping silence. The CD booklet declares the recording to be ‘live’ but was conducted over a number of days from 18th to 21st May, 2011. There is no hint of an audience but no evidence of audible edits. Consequently, I am not sure just what is intended by the characterisation ‘live’. A minor point, but the track durations given in the CD booklet do not match those of the back cover of the CD. This is an awe-inspiring CD — a magnificent recording of what Mahler thought might be his ‘swansong’. 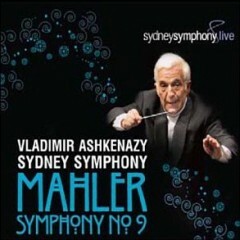 I am now very keen to hear the other Mahler recordings that Ashkenazy has made with the SSO.